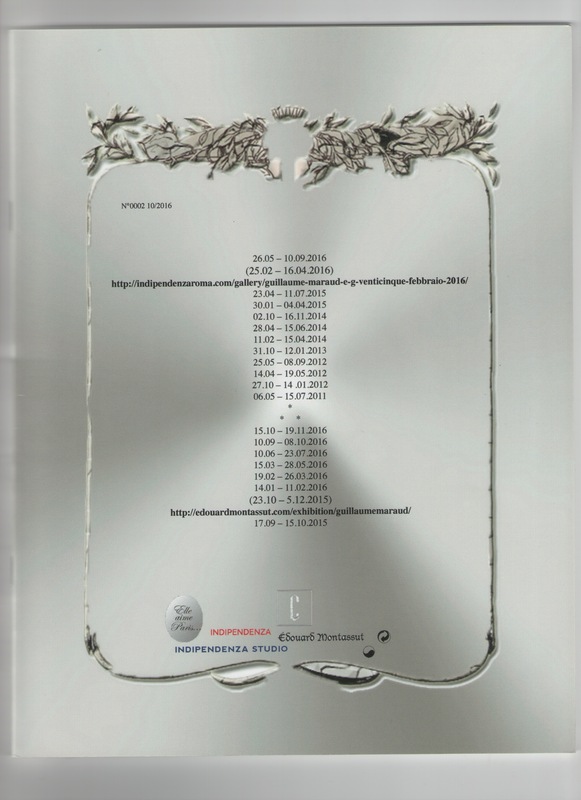 A booklet published in October 2016, on the occasion of Guillaume Maraud’s exhibition “e.g. venticinque febbraio 2016” at Indipendenza, Rome. Following the artist’s conception of the publication series this Version also comprises pages from Version n°0001, that are related to Maraud’s solo show “The Last Days of. 23.10 – 5.12.15” at galerie Edouard Montassut, Paris. Documentation from both shows, as found on websites and social networks, were collected and edited by the artist, and framed with—often opaque, and coded—paratexts.